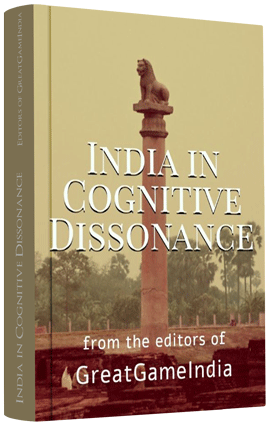 This piece was published in 2014 and is reproduced here to highlight how the Indian Air Force rewrote the rules of air combat through the use of its innovative tactics while flying the MiG 21 Bison. The Cope India 2004 air exercise was a landmark in combat aviation, as it highlighted the innovativeness of Indian fighter pilots, the impact of Russian jets and the potentially fatal limitations in USAF pilot training. Exactly 10 years ago, in the space of just 13 days, the Indian Air Force dealt a massive blow to the myth of invincibility of the US Air Force. At the Cope India exercise held at the Gwalior air force range on February 15-27, 2004, Indian pilots reportedly notched up an astounding 9:1 kill ratio against the all-powerful USAF, sending shock waves through the American defence establishment. About the different IAF fighters the six F-15Cs from the 3rd Wing encountered, Snodgrass said: “The two most formidable IAF aircraft proved to be the MiG 21 Bison, an upgraded version of the Russian-made baseline MiG-21, and the Su-30MK Flanker, also made in Russia”. About the capabilities of IAF pilots, USAF team leader Colonel Greg Newbech said: “What we’ve seen in the last two weeks is the IAF can stand toe-to-toe with the best air force in the world. I pity the pilot who has to face the IAF and chances the day to underestimate him; because he won’t be going home. A different spin in D.C.
Used to hearing the United States is second only to god, the US leadership nearly burst a collective artery. The 3rd Wing had barely packed up its kit at Gwalior when Republican Congressman from California, Duke Cunningham, told a House Appropriations defence subcommittee hearing that USAF F-15Cs had been defeated more than 90 percent of the time in direct combat exercises against the IAF. Cunningham’s revelation kicked up a huge uproar in Washington DC. Some Western military observers attempted to debunk the results, claiming the USAF did not bring its true ‘go-to-war-gear’ to these exercises and that the American pilots fought with several handicaps. What really happened? First up, it’s true the F-15Cs that participated in Cope India 2004 were not equipped with the active electronically scanned array (AESA) radars. But then neither were the Indian jets. Secondly, at India’s request the USAF agreed to mock combat at 3-to-1 odds, which meant the six American jets were up against 18 IAF aircraft. And finally, the Americans agreed not to simulate their beyond-visual-range (BVR) missiles. Doesn’t look like a fair fight. But wait, ask yourself, which air force would spend millions of dollars on a fortnight long exercise that ends in a turkey shoot? Not the IAF, which is a highly professional service. Also, why would the USAF bring all that high-octane military gear all that way just to get a drubbing? The IAF believes its strength is dogfighting, for which it trains hard as Western air forces. Secondly, the service did not deploy its advanced Su-30 MKI Flanker, only the older Su-30, because the MKI’s radar frequencies are classified. There’s little advantage in letting your adversary’s patron know your combat strategies. The Indians wanting to even the odds is understandable but the United States accepting these handicaps seems counterintuitive. But in fact the USAF agreed because it was desperate to get a close look at the legendary Flanker. The lopsided result can be explained in the difference in combat styles of the two air forces. While the IAF varied aircraft mixes, altitudes and formations, the American pilot seemed stuck in the static Cold War-style of ground-controlled interceptions, which gives little leeway to the individual pilot. Weaknesses in crew performance and limitations in their range of action were evident during the simulated aerial combat. Also, US fighter pilots train in a closed system where delusion in the America military’s superiority reigns supreme. The belief is that overwhelming numbers – recall the 1000 bomber raids over defenceless and tiny Iraq – and technological pyrotechnics allow the US to dominate without sweating it out. The 1982 wipeout of the Syrian Air Force by the Israelis in which 82 Syrian MiGs were downed against the loss of just two American-built Israeli Air Force jets had reinforced the myth of superiority of US jet fighters. Cope India 2004 showed the quality of the men in uniform matters more than the jets they fly. Because of the storm kicked up by Cope India 2004, the following year the IAF and USAF opted for exercises that had mixed teams of Indian and American pilots on both sides. But observers and participants at Cope India 2005 said in a surprising number of encounters – particularly between USAF F-16s and Indian Su-30 MKIs – the Indian pilots came out on top. Another copout being used by some in the US defence fraternity is Cope India 2004 was staged to pave the way for the F-22 and F-35 stealth fighters. However, these big-ticket projects – or rather white elephants – were already on their way, and did not need a push. It’s not like the guys at Lockheed were woken up the night after the Gwalior drubbing and asked to get back to work. Ten years after that paradigm shifting exercise, the IAF strike forces are of an entirely different magnitude. The MiG 21 Bison’s are being retired, and the MiG-27 will be gone by 2017. However, the increasingly modern versions of the Su-30MKI – having a loiter and combat persistence ability that has no Western equivalent – will continue to give the IAF’s adversaries and American aircraft designers many sleepless nights. For the US, Cope India should be a wakeup call. Its over-reliance on stealth and long range radar is resulting in a generation of leaden footed and predictable pilots. While this strategy will prevail against puny adversaries such as Iraq and Libya, the equation is entirely different when the opponent is well trained and innovative – like India or Vietnam. Also, not underestimating the enemy would be good idea too. For instance, while the performances of the IAF’s Mirage-2000 and Su-30 were expected, the MiG 21 Bison came as a nasty surprise to the USAF. 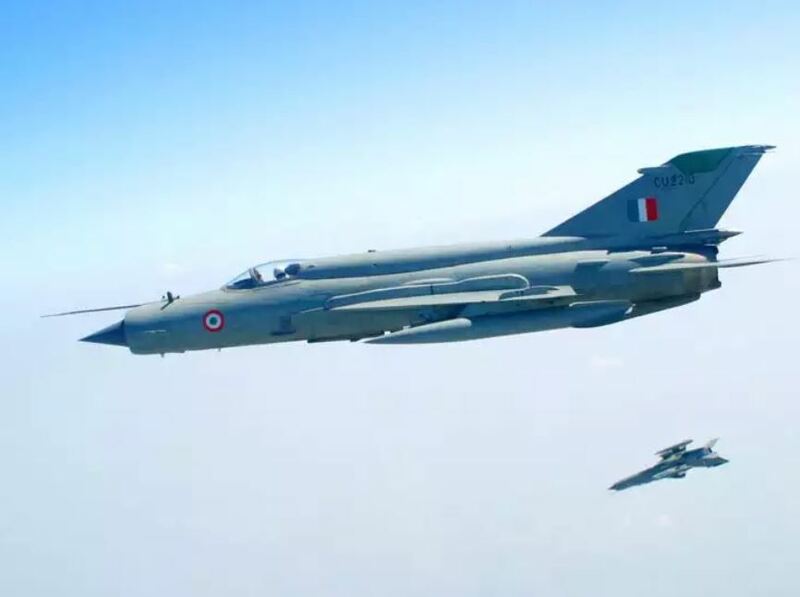 The positive attributes of the MiG-21 such as low radar visibility, instantaneous turn rate and “jackrabbit acceleration” were critical factors at Cope India. Plus, its new of helmet mounted sight and high-off-boresight R-73 air-to-air missiles turned the MiG-21 into a “Great Equaliser” in the WVR (within visual range) combat scenario. It also validated the claim of Russian officials that they are capable of converting second generation late-model MiG-21 fighters to Generation 4 combat platforms. With the benefit of hindsight, it’s good the Americans discovered their shortcomings in peace rather than war. Had the pilots of the 3rd Wing come up against the might of Russian air power during the Cold War, they probably wouldn’t have winged it back to Alaska.